From the Hancock County Courthouse, take Hwy 22 southwest for 7.2 miles to Devereux. Turn right (at backwards fork) onto Main Street. Go 0.2 mile to the dead end and turn left on Jones Chapel / Devereux Rd. Go 4.9 miles. 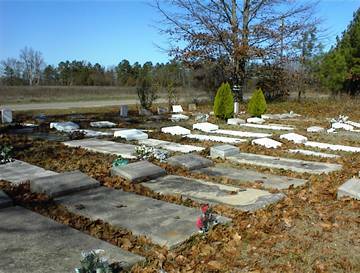 The cemetery is behind Jones Chapel church on the corner of Carr's Station Road and Jones Chapel / Devereux Road. Graves numbered 100 or higher have been added since the original survey and are somewhere in the cemetery. All info from Warren Brothers Mortuary marker. "In loving memory". Masonic emblem. Age 65. All info from obituary. Age 93. All info from obituary. Age 70. All info from obituary.